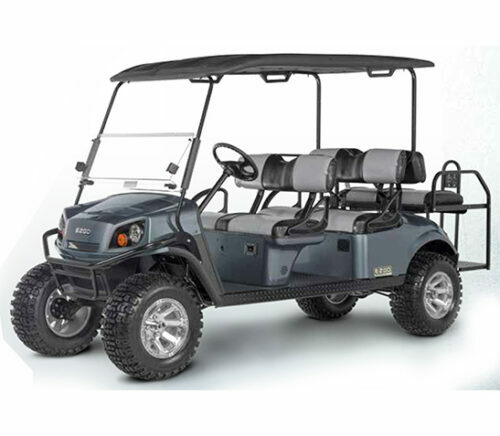 Find all E-Z-GO utility vehicles in New Jersey. E-Z-Go started with two brothers’ belief that they could build a better golf cart than the ones currently in the market, and a cramped one-room machine shop in Georgia. E-Z-Go has since become a world leader in transportation and a leading global manufacturer in golf cars, utility and personal transportation vehicles. The company has built and manufactured thousands of vehicles per year, most of which feature game-changing technology and innovations that aim to improve vehicle efficiency and enhance user experience. E-Z-Go joined Textron Inc. in the 1960s, and is currently one of the company’s powerful brands along with Cessna, Beechcraft, Hawker, Bell Helicopter, Greenlee, and Jacobsen and Kautex. Textron Specialized Vehicles currently designs and manufactures all E-Z-Go vehicles, along with other commercial and industrial utility vehicles such as Textron Off Road, Arctic Cat, Jacobsen, Dixie Chopper, Cushman and Textron GSE – all of which are recognized leaders in their respective industries. 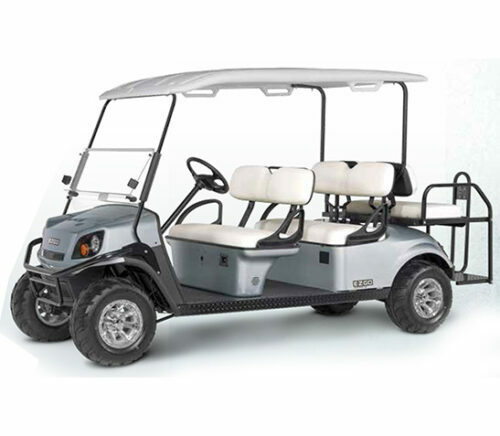 Get your own E-Z-Go utility golf carts today! For any inquiries and concerns, feel free to drop a note in our site and we would be more than happy to assist you. The Express: If you are looking for a golf cart that offers ample space, then you can consider the E-Z-Go Express series. The Express series runs on 48-volt DC batteries, and shunt wound motor. The models under this series also have hydraulic shock absorbers in both front and rear, and rear wheel mechanical self-adjusting drum brakes. The Express comes in four models with different seating capacities: the Express S4 that seats four passengers, the Express S4 High Output that seats four and a rear seat that converts to a cargo deck, and the Express S6 and Express L6 that both seat six passengers each. The Refresher: The Refresher series is perfect for golf clubs as it is a spacious refreshment automobile with a powerful gasoline engine and easy maneuvering capability. This series runs on a 13HP engine and features a canopy and a 5000 series aluminum beverage unit. The refresher comes in two models with different beverage and merchandising capabilities: the Refresher FS4 that has four cold storage cabinets, 21.2 cubic feet merchandising capacity, and 13 square feet of work space; and the Refresher FS2 that has two drawers with a total capacity of 5.6 cubic feet, 14.4 cubic feet of merchandising capacity, and 10 square feet of work space. The Hauler: If you are looking for a utility golf cart with a hauling capacity, then E-Z-Go’s the Hauler series is for you. It comes in two models: the Hauler Pro, and the Hauler 4×4. The Hauler Pro comes in either gas – which uses a 4-cycle, 24.5 ci (401cc) cylinder engine and 13.5 HP, or electric – which uses a 48V DC shunt wood engine, has six 8V deep cycle batteries, and 3.0 HP. Both gas and electric models of the Hauler have the same specifications such as inductive throttle sensors, diagnostic indicators, regenerative pedal braking systems, and two passenger-seating capacities. Plus, both models have 800 lb. load capacities, 500 lb. bed load capacities, and 720 lb. towing capacities. On the other hand, the Hauler 4×4 is larger – with four passenger seating, and an impressive 22 HP motor and three-cylinder diesel engine that allows it to reach a top speed of 25 mph. This model has a 1,200 lb. vehicle load capacity, 800 lb. bed load capacity, and 1,200 lb. towing capacity. The Shuttle: The Shuttle is aptly named, as this series is an ultra-modern automobile built to transport people safely and comfortably, thanks to its efficient braking and suspension system. 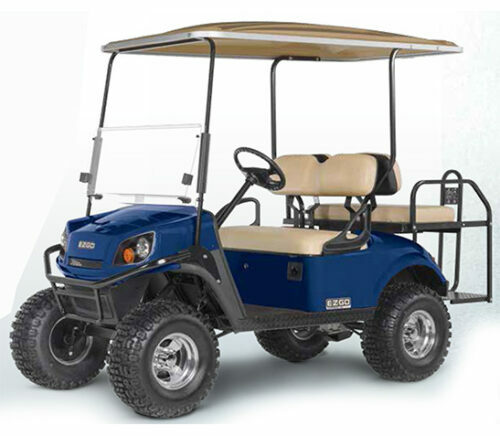 The series features four models, all available in either gas – with a 4-cycle 24.5 ci low emission engine and 13.5 HP, or electric – with a 48V DC engine, 18.1 HP and eight 6V deep cycle batteries. The Shuttle’s four models are: the Shuttle 2 which seats two passengers, the Shuttle 4 which seats four, the Shuttle 6 which seats six, and the Shuttle 8 which seats eight.